ENJOY THE PEAS FESTIVAL OF BAONE The Peas Festival of Baone is the most important event of the year in the small town of the Euganean Hills and is a great opportunity to buy Baone's peas directly from producers, taste the dishes of peas, know the other typical features of the territory and enjoy the festive atmosphere! The Peas Festival of Baone (this year 22 to 27 May 2015), is the culmination of the important work of promotion of a indigenous product in the past disappeared from local crops and gradually reintroduced since 1999. The history speaks of Venetian families who in past centuries were in Baone to buy the peas to the traditional recipe of Risi&Bisi (rice with peas), and the restoration work of the tradition has been achieved over the last 16 years with the support in various capacities of the Regional Park of the Euganean Hills, Province of Padua , Veneto Region, associations (CIA, Coldiretti, Confagricoltura), Chamber of Commerce of Padua, SlowFood, Confesercenti, APPE Confcommercio, hotel and catering schools of the territory. The Peas Festival is a great opportunity to put into practice the theme of EXPO 2015, as a local product enhances almost disappeared, and encourages the recovery of hilly marginal, unsuitable for other crops, favoring the care of a territory already entirely within the Regional Park of the Euganean Hills. It is a green party, because the harvest is done by hand, as well as the shelling of the pods. The different varieties of peas sown and cultivated (according to the specification approved in 2014 by the Association of manufacturers & Bisi Bisi) allow, in addition to the protection of biodiversity, to diversify the maturity of the peas in a period of time greater and better address any pathogens and parasites . In addition, "bisicoltori" Baone are only small farms and family farmers, who make the sale often zero km or private caterers and surrounding municipalities. same territory. The involvement of many years of restaurateurs and some bloggers in wines has fostered a greater knowledge of the product and the birth of dozens of recipes and serving suggestions (such as: tacos, soups, dumplings, buns, pasta and meat dishes of all kinds, salads, sorbet, ice cream, and many cakes and desserts). The Peas Festival takes place in the main square of Baone (Padua) and surrounding areas from Friday, May 22 at Wednesday, May 27, 2015. Every night and all day on Sundays you can taste the typical dishes of peas, peas buy fresh from bisicoltori local (depending on availability), taste the wines of the Euganean Hills, attend musical events and entertainment, visit the rich market of craft and hobby, visit exhibitions. Baone is accessible by car (nearest highway exit: Monselice on the A13) and has ample parking (fee). The Pro Loco of Baone deals with the promotion of the township, entirely included in the Regional Park of the Euganean Hills and enhancement products, events and local traditions. 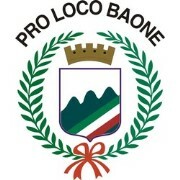 Founded in 1986, the Pro Loco of Baone has embarked on a journey to promote the area continuously and diverse, taking into account the differences in the four communities of Baone (the center, Valle San Giorgio, Calaone and Rivadolmo), but always trying to create synergies and opportunities to meet common. In the last decade the Peas Festival has emerged as a major initiative and greater visibility, but the significant commitment of members and sympathizers allowed contivare numerous other initiatives, both in the municipality, is more open.